The Performing Skills Guidebook for Contemporary Singers-- Learn how to move on stage, how to audition, how to talk to an audience, how to be authentic, how to conquer stage fright, how to work with a mic, and much more. Whether you're singing at open-mic nights or karaoke bars, playing at large venues, preparing for national singing auditions, just starting a band, or have never performed at all-- everything you need to know is covered in this book. Available in e-book or paperback format. "I've always been a big fan of Susan Anders' books, but this time she tops herself. Clear, helpful and inspiring. This is a must for my clients who want to sing for Disney." To say that this publication is an excellent companion to the aspiring and professional performer alike is an understatement. The information and suggestions Anders shares in this book are truly remarkable. She leads her readers, in her conversational style, from evaluating your initial mental attitude towards your craft, your audience and your performance goals, right through to preparing and fine-tuning your repertoire. Develop expressive, natural gestures and stage moves that are right for your musical style. Do well at singing auditions.. Prepare for a performance vocally, physically & mentally. Build a repertoire & pace a set. Get what you want at a sound check. 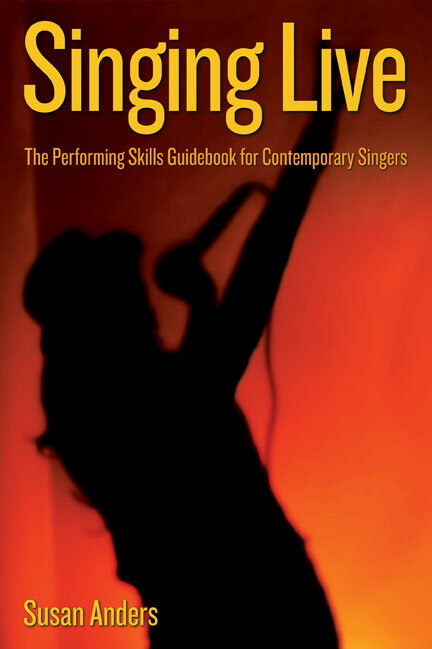 Singing Live is filled with information, singing tips and exercises to help you discover your individual performing style and polish your performing skills. If you are a beginning performer, this book will show you how to build your performance abilities and confidence before you face a real audience. If you are a more experienced performer, you'll find out how to make your performances not just good, but truly great. Singing Live also covers everything you need to know about giving a great performance besides simply rehearsing your song. This includes how build a powerful repertoire, how to deal with stage fright, what to wear, pacing a set, sound-check and mic technique know-how, developing great stage patter, and more. The Singing Live method will work for you whether you sing pop, R&B, country, folk, rock, jazz or any other contemporary style. Most importantly, Singing Live will help you develop a performance style that is both polished and authentic for you. Singers who are searching for their own performing style. Singers who need to develop their stagecraft. Singers who find the idea of performing to be just plain terrifying. Experienced performers who know that they can do a lot better. Click the 'Add to cart' button below for a free download of a portion of Singing Live, including the table of contents and several sample chapters. "I always ask my new students what they think they need to work on in their lessons, and almost all of them answer: "Performing skills!" Whether they are beginning or very advanced, most singers feel that they have work to do when it comes to delivering a fantastic live performance. Many voice coaches are wonderful at teaching vocal technique, but can't or won't help their singers polish their performing abilities. I wanted to offer a step-by-step process that singers could use at home to make their performances as powerful as possible. One of the performing issues I wanted to address in this book is stage fright, because so many singers have told me it's a problem for them. Most of us have it and we think we're the only ones! There are so many things a singer can do to conquer their fears about performing, and the book includes lots of information on the subject. Another area that many singers want help with is how to do really well at singing auditions, including national talent contests like American Idol. Because of this, I've included loads of tips and and exercises to help auditioning singers. I work with a lot of artists sent to me by record labels and producers. These developing artists need to do everything possible to outshine all the other new artists out there. Developing a really solid, really authentic performing style is essential for them. I'll teach you everything I teach them." A large mirror, preferably full-length, in your bedroom or rehearsal space. A camcorder, DVD camera, or other way to film yourself. Though not absolutely essential, this is an invaluable tool. Backing tracks, if you don't play an instrument. These can be karaoke CDs or piano/guitar tracks. Some way to record yourself and your backing tracks as you prepare your song for the performance exercises. This doesn't have to be elaborate or expensive-- a cheap cassette recorder will do. 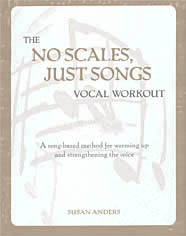 Singing Live costs $12.95 for the ebook. Click here to order and instantly download Singing Live. The e-book comes in pdf form which is viewable on both PCs and Macs. Please note: we use PayPal shopping carts but you do not need a PayPal account to securely order with a credit card. During checkout just choose the option in the lower left that reads "Don't have a PayPal account? Use your credit card or bank account", then follow the instructions. Because it's an e-book that you will download, the Singing Live e-book must be purchased separately from other Zanna Discs products. That means that it will show up in it's own Paypal shopping cart. If you want to purchase other Zanna Discs products you'll need to do that separately. If you already have other Zanna Discs products in your shopping cart they will not show up in the shopping cart for the e-book, but they will show up if you add a Singing Live paperback. After completing a Singing Live e-book purchase you can return to our site and click 'view cart' on any Zanna Discs page EXCEPT this one to view and complete a purchase of any non-e-book items. Thank you! 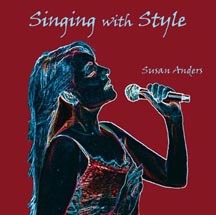 Singing Live is also available in a hard copy version for $18.95. It's a 6x9 paperback, 182 pages. If you want to order the Singing Live paperback use the shopping cart buttons below. We ship for free via USPS media mail from Nashville, TN within 1-2 business days of receiving your order. 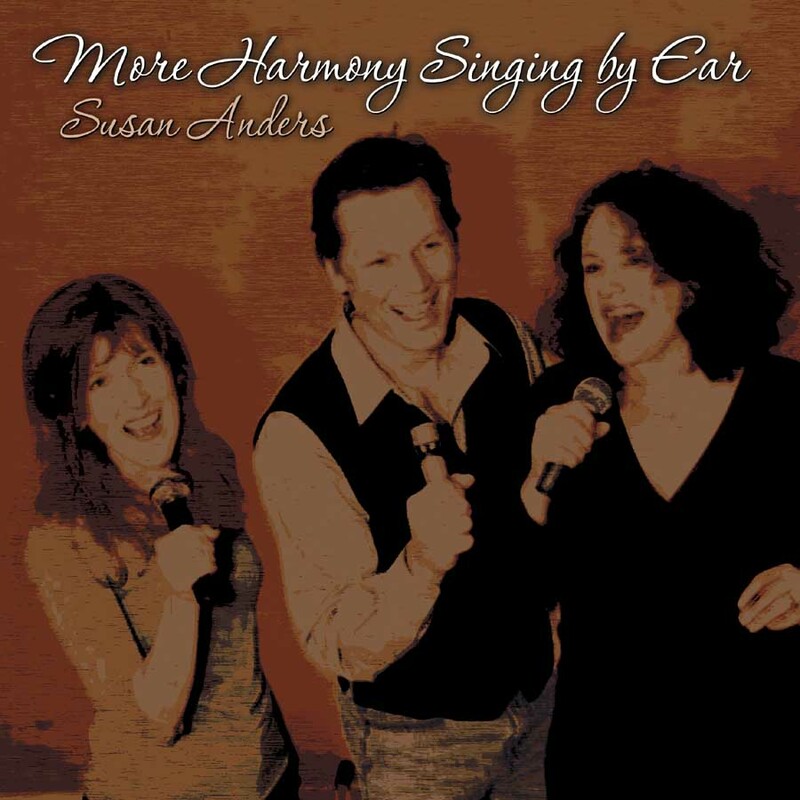 Susan Anders (MA, San Francisco State) has coached singers for over twenty-five years in the SF Bay Area, Los Angeles, and Nashville. Her articles on singing have appeared in Acoustic Guitar, Acoustic Musician, Backstage West and the Angel City Voice, and her instructional books, apps and CDs have been used worldwide. Performers Susan has coached include Hillary Scott (Lady Antebellum), Josh Gracin, Rose MacGowan, Joey Heatherton, Constance Marie, and L7. She is also a singer and songwriter: "A commanding, soulful voice" said the New Yorker-- "A wonderful singer" said the East Bay Express--"Arrow-pure vocals" said In Pittsburg. Her former band Susan's Room released five albums. 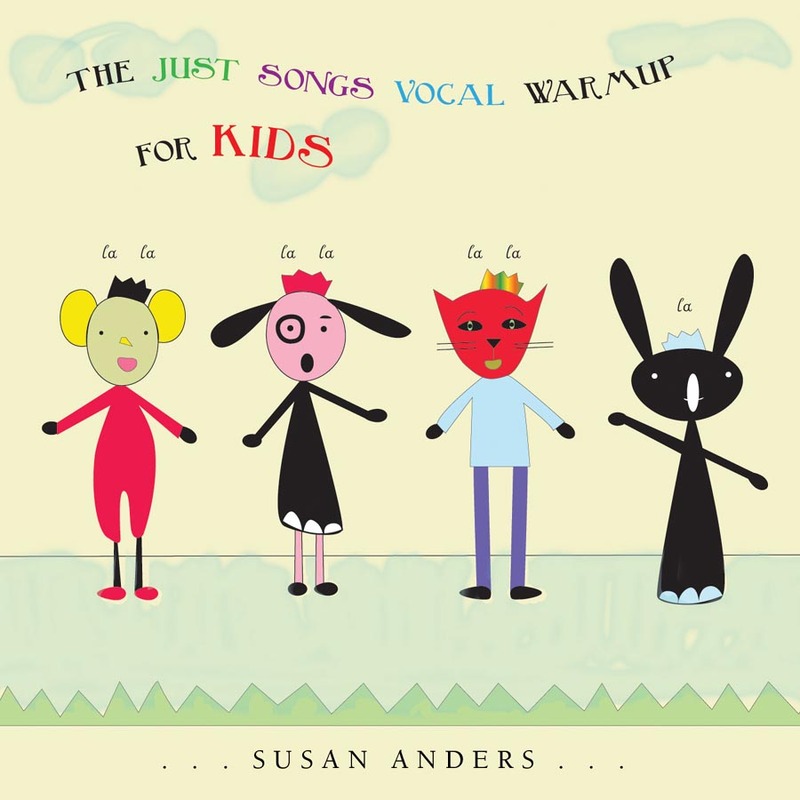 Susan has recorded three solo CDs: You Can Close Your Eyes (a lullaby CD), Release, and her newest CD Swimmer. 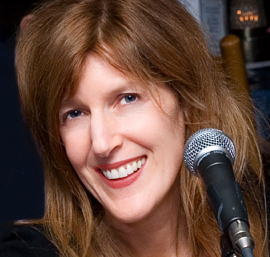 Susan was born and raised in Berkeley, California and now lives in Nashville, Tennessee.